Book a limo, request price quotes, or set up a personal or corporate account here. Family Car & Limo Service provides 24 hour private transportation services to and from the FT. Lauderdale Hollywood International Airport, located near the heart of Down Town Fort Lauderdale in Broward County. FCS specialize in corporate and family luxury transportation in Sedans, Vans, Limousines, and Buses. Airport Inside Meet & Greets - All domestic flight arrivals with inside meet and greet are FREE with most reservations! Vehicles such as SUV limos, busses and some vans are to large to be parked and can only perform curbside pick ups. If you require an inside meet and greeter in addition to a driver with any of the these larger vehicles, additional fees will be determined. All international flight arrivals with inside meet and greets require a $15.00 dollars customs fee. Your driver will always track your arriving flight number if and when trackable. All Domestic flight arrivals with inside meet & greet are given up to 45 min of wait time the moment the plan lands, until luggage is loaded into the vehicle. The US Customs fee covers the driver and vehicles additional wait time when a inside meet & greet is requested on arriving international flights. If you or your guest are NOT familiar with an airport FCS strongly suggests having a driver go inside for a meet & Greet. For arrival of domestic flights, you can choose to be met at security or at baggage with you or your guests name on a sign. Domestic flight meet and greets are FREE. You only need pay for the parking of the vehicle. Your driver will always track your arriving flight number if and when trackable. Airport Curb Side Pick Ups - Drivers are able to wait just outside the airport for curbside pick ups. Drivers will track the flight number you provided. Once your plane lands drivers will attempt to call your mobile the moment the plane is at the gate. You may then coordinate where and when the driver will pick you up curbside once you have gathered your belongings and are ready to walk out. 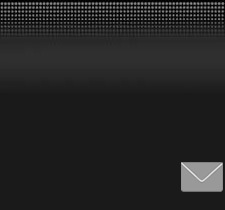 Drivers will leave a voice mail message with a number to be reached if you do not answer and your phone goes to voice mail. This option is best used for people who are familiar with a particular airport, and carry a domestic US mobile phone number. Additional fees are as follows: (extra stops, parking, tolls, early morning, or late night service, and wait time) You have 15 FREE minutes of wait time for every transfer. Domestic flight arrivals have 30 min extra wait time. Ice & Beverages for Limousines are included only for hourly services, however they can be provided for a small fee of $15.00 on transfer service. Garment trailers are available for Vans, & Buses if a vehicle is at it's maximum luggage capacity. Use of the garment trailer is an extra $25.00 on top of the fare. Child Car Seats are available for FREE at your request. For detailed information on additional costs of services, as mentioned above please click here. For your safety and best experience always use properly licensed, insured operators and drivers when selecting a transportation service. Both Airports and Hotels are highlyl known for illegal gypsy operators to illegally stage and solicit transportation services. If you are relying on a Travel Agency, hotel conserage, valet, or porter to arrange for you and your family's transportation, make sure they are calling a legitimate legal operator. You may find more information about choosing your limo service here. If you are new to the South FL. area, or just looking for exciting ideas on nice places to go, take a look at our growing local Restaurant, and Night Club Limo Directory. Get names, addresses, and phone numbers of Ft. Lauderdale, Palm Beach, or Miami's hottest attractions. Listed below are a few transportation services that are closely related or may involve airport pickup and drop off services. 24 hour corporate car services for those long red eye flights. Enjoy your ride back to the home or office , in our brand new 2007 Lincoln Town Car Executive L in style and comfort. Sedans or SUV's are the most common vehicles used for corporate travel. Call and ask about our corporate frequent traveler program. Click here to learn more. 24 hour private car, van, bus & limo services for cruise ship transportation to and from south FL airports or local area hotels for the Port of Miami, or the Port Everglades located in Ft. Lauderdale. Click here for more info. We can provide corporations and individuals with transportation services to and from their special events. Our Vans and Mid to Full Size Busses, are often used to transport VIPs or employees to company or local events like the FT. Lauderdale Air & Sea Show, or the popular Ft. Lauderdale Boat Show. Special event transportation may also include private car or limo services to corporate trade shows held at any one of the major area hotels such as The Westin Diplomat Hotel, or The Hard Rock Casino & Hotel. Each special event is unique and may require a combination of vehicles to accommodate you. You may click here for additional info. FCS also provide 24 hour transportation 7 days a week for the Miami International Airport ( MIA ) located in Miami - Dade County. 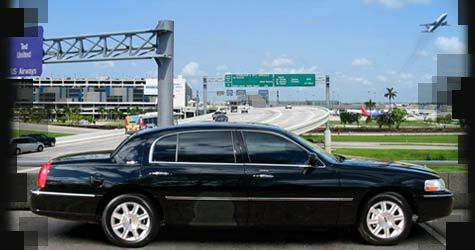 For more information about car services to and from Miami International Airport click here. 24 hour transportation service to and from the Palm Beach International Airport ( PBI ) located in Palm Beach County. For more information about car services for Palm Beach International Airport click here. Here is a complete list of different types transportation services for Fort. Lauderdale, Palm Beach, and Miami. © 2007 Sea Air Limo Service Inc. Last updated:July 17, 2008. Designed by JET Studios Inc.